Glaucoma is the name for a group of eye conditions which damage the optic nerve. This nerve carries information from the light sensitive layer in your eye, the retina, to the brain where it is perceived as an image. The retina can be thought of as akin to the 'film' of a camera where light is focused. The information is then sent along the optic nerve. All glaucomas have certain key features in common. These are increased pressure inside the eye, 'cupping' of the optic disc, and loss of the peripheral visual field. Any two of these 3 features is usually enough for there to be very strong risk of having glaucoma. What controls pressure in the eye? The eye is filled primarily with water based substances and liquids. Think of there being a 'tap' inside the eye - constantly producing fresh liquid. This 'tap' is a layer of cells behind the iris (the coloured part of the eye). The fluid produced is called 'aqueous'. This liquid is inside the eye, and is not connected to the tears. The eye also has a 'drainage' system. The drains are located at the front of the eye, between the edge of the cornea and the iris. So, increased pressure in the eye is due to increased production of fluid, or decreased drainage of fluid from the eye (or a combination of both). How Does Increased Pressure Damage the Nerve? The mechanism of damage is unclear. Certainly, when the pressure goes up very suddenly (as in acute glaucoma), there is clearly a lack of blood supply to the nerve head in the eye. There are various other theories as to how the nerve damage actually occurs. What is certainly known, is that LOWERING this pressure delays the progression of glaucoma. In sudden acute glaucoma, lowering the pressure can save the sight in an eye which is otherwise destined to lose vision. It is one of the commonest reasons for blindness in the Western world. There are several different types. These include chronic simple glaucoma (the commonest type), acute glaucoma, congential glaucoma and secondary glaucomas which arise secondary to some other condition or influence. Age - Chronic glaucoma is uncommon below the age of 40 but affects 1% of people over this age and 5% over 65. Race - People of Afro-Caribbean origin have an increased risk of developing glaucoma. 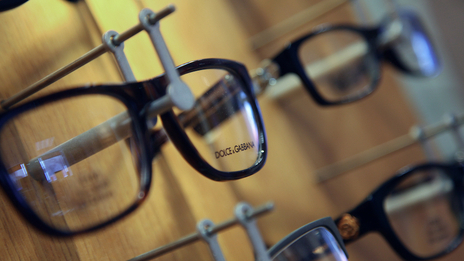 Myopia - Very short sighted people are more at risk of developing chronic glaucoma. Why can untreated chronic glaucoma cause serious loss of sight? The main reason is that chronic glaucoma usually has NO SYMPTOMS. There is no pain and your eyesight will seem to be normal too, but silently, your vision is slowly deteriorating. Glaucoma tends to damage the peripheral field of view first so is not noticed by most. Only when the peripheral field has been significantly damaged, do some people start bumping into things, or see oncoming vehicles at the last minute for example. How is chronic glaucoma detected? Examination of your optic nerve by your optician/doctor. All these tests are very straightforward, don't hurt and can be done by most high street optometrists (opticians). YES. A simple regimen of daily drops to the eye can delay progression of glaucoma in the vast majority of people. Sometimes, an operation called Trabeculectomy is required. Both of these treatments have been shown to be very effective indeed. This is a form of glaucoma where the pressure inside the eye shoots up very suddenly. It happens because of a physical blockage of the drainage channels inside the eye at the 'angle' of the eye (where the cornea meets the iris). 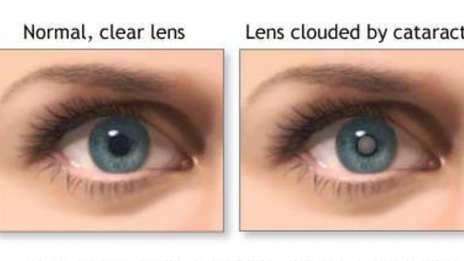 This is why it is often referred to as 'Angle Closure Glaucoma'. Blurred Vision - sometimes 'haloes' can be seen around bright lights. How is the Acute Glaucoma treated? Acute glaucoma is initally treated with powerful drugs to help bring down the pressure inside the eye very rapidly. Subsequently, depending on the nature of the cause of the attack, drops, laser, and surgery are the various options available to the surgeon. A similar treatment, usually with laser only, is usually performed in the other eye, to ensure the same acute attack cannot happen there too. Scientific research has shown that the use of coloured filters on spectacles or coloured overlays laid over text can help some children and adults to read better.